Constructed fully from carbon fiber, this lightweight cage does a simple yet critical task and does it well. 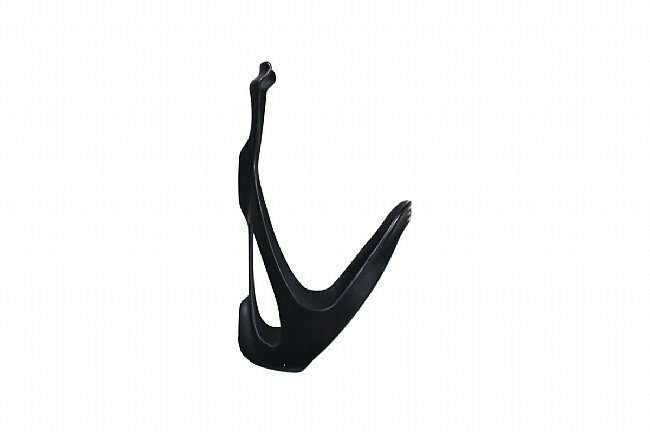 The ENVE Bottle Cage is designed to hold on to your bottles even in the roughest conditions, but they've made sure the secure grip doesn't prohibit usability, allowing bottles to be retrieved and inserted from both side angles and straight on. So keep your eyes focused on the race ahead; you'll know your bottles will still be there when you reach for them. Claimed weight is 21 g. Includes stainless steel mounting bolts. Matte black finish. Easy in, easy out, but with a solid grip. 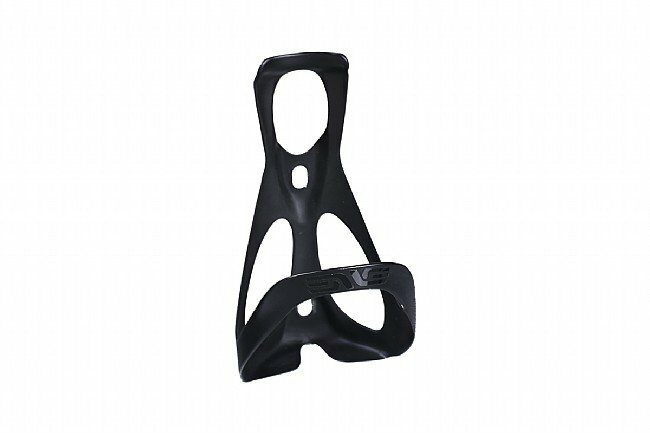 This is my favorite bottle cage as it allows easy entry and easy exit of the bottle but still retains a strong grip on the bottle even while riding over rough terrain. The only drawback is the price which is higher than most other carbon fiber cages, but it is better than most other CF cages. I was tired of bottle cages that are too tight, causing me to almost wreck trying to pull my water bottles in and out. So I used a discount coupon & bought this cage. It is wonderful & really will hold your bottle. I do not regret the money spent. Light, holds bottles well, looks good. The roads are so rough here that I lost a bottle on a ride and when I checked, the cage was cracked - I already had one Enve cage, so buying a second was a no-brainer. Very simple design, very strong. Bottles slide in easily and are held firmly. Bottles slide in easily and are held firmly. You never have to wrestle for your bottles. What more do you want? These are the most expensive bottle cages I've ever bought, but they are also the best. A very lightweight and good looking water bottle holder. Have had no issues getting the water bottle in and out and does not fall out. Just have to do a slight twist and easily comes out.